Available to graduates of the Yoga Therapy Rx™ and Prime of Life Yoga™ Programs, the registration gives you the right to use the following credential/s next to your name. Effective June 1st, 2017, there will only one POLY credential. If you purchased a POLY-500, POLY-600, POLY-800, or POLY-1000 credential prior to June 1st, 2017, you are grandfathered into this program. 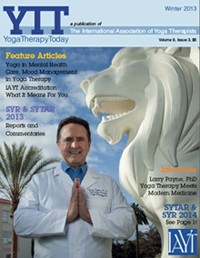 Having a YTRx or POLY credential from Samata International distinguishes you from other yoga teachers or therapists. It provides recognition of advanced, specialized training from Samata International and Dr. Larry Payne. The YTRx and POLY credential s provide you with marketing benefits such as client confidence as to your level of experience and expertise. As a credentialed member, you have access to use of a Samata logo for your marketing materials. 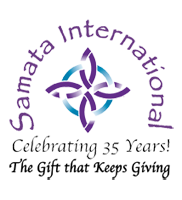 All current credentialed members will be featured at the Samata International website under a separate Credentialed Instructors page. The listing includes your location, photo, a three- line bio and link to your website. The credentialing program will be promoted in future Samata International ads and on social media including Facebook, Twitter, and Instagram. Both YTRx and Prime of Life Yoga now have dedicated group Facebook pages. Registrants for YTRx and POLY credentials will have access to a resource section supported and continually updated by Samata. Notes and audio recordings of many of the training classes, as well as handouts, will be featured in each section. 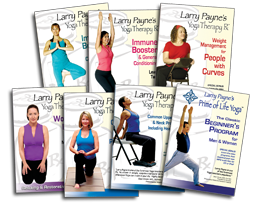 POLY credential registrants will have access to all POLY guidelines, recommended postures and routines for use in group classes from Larry Payne. A list of continuing education courses at the Samata Yoga Studio, as well as links to other CE approved courses will be available. In addition, links will be provided to all approved Yoga Studies courses & workshops at LMU. The optional mentoring program hours will also count toward your continuing education requirement. These hours may be obtained via Skype, if it is available with your selected mentor. Credentialed members are eligible to receive a 10% discount on all Continuing Education workshops held at the Samata International Yoga Studio, except the Prime of Life Yoga Intensive. Members will receive a 15% discount on products offered in our online store. For bulk orders, wholesale rates will apply (A re-sale tax permit is required for bulk orders). What do I need to be eligible for a credential? *Please see the credentials list with the training requirements for each level. Both of these programs are offered through Loyola Marymount University Extension Programs an Samata International. What is the cost of a Samata credential? YTRx – The registration fee for the first credential is $150 and DOES NOT EXPIRE. A second credential (POLY) may be added during the initial 2 year period for an additional fee of $50. Registrants who upgrade or change their original credentials during any membership period will be charged a nominal fee of $15 to cover administrative costs. Do I get Continuing Education Credits (CEC’s)? All members are required to complete 21 hours of approved courses every 2 years. Students enrolled in the advanced levels of the Yoga Therapy Rx or the Prime of Life Level II programs within the membership period will not be required to take additional CEUs for that period. The coursework for the trainings will count as your continuing education. Students with more than one Samata credential will only be required to complete 21 hours of approved coursework. Any course offered by Samata (YTRX, POLY) instructors or alumni staff will count toward continuing education. Only courses offered directly through Samata are eligible for a 10% discount. Please see the instructors’ listings and websites for their training offerings HERE. All members are required to report their continuing education hours at the time of renewal. Members will be required to list their coursework at the time of renewal. Failure to abide by the Code of Conduct as provided in the guidelines of the California Yoga Teachers Association will be cause for removal from this program. Credentialed members are required to maintain current liability insurance and proof of coverage may be made. Resource pages are the property of our instructors, and are for personal use only. I just finished the Prime of Life Yoga® Teacher Training program Level I. Can I use the Prime of Life Yoga® name now? No, you need to also complete POLY training Level II, before applying for a credential. To use the POLY name to teach a class, you also need an RYT-200. Prime of Life Yoga® is a trademarked name, as is the credential designation of POLY. Only credentialed teachers registered through Samata International are allowed to use this designation. 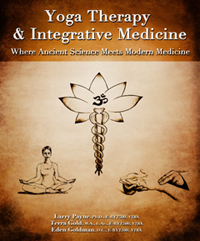 Prime of Life yoga teachers using the designation are required to follow the principles of practice as outlined in the POLY courses as well as selected postures and routines recommended by Larry Payne. We want to make sure that when someone takes a Prime of Life Yoga® class they will have a similar experience wherever the class is being taught. Please contact us at credentials@samata.com with any questions.